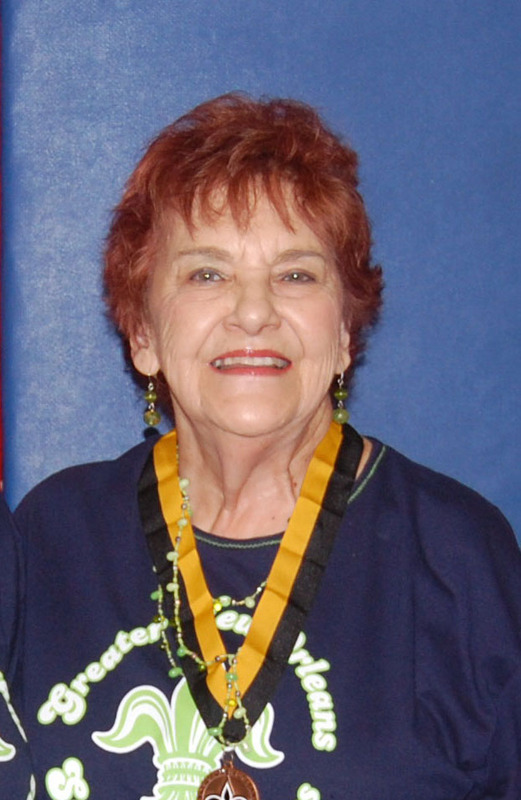 June has been a constant competitor at the Senior Olympics for a number of years (just a few, mind you). She is known by her infectious laugh and pleasant demeanor. 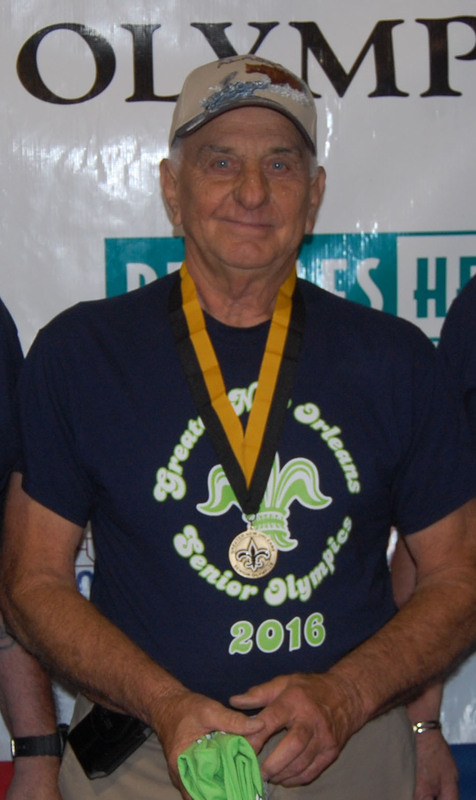 This year when the question was asked, " Who do we nominate as Female GNOSO Senior Olymian of the Year," Howard Davenport said without hesitation, "June Olano." Then the question was asked, "Why have we NOT selected her long before now?" Howard did not offer any REASON for selecting June - he didn't have to. Her selection was unanamous among those present. June participates in almost every event, and she medals in most of those. In addition, her personality makes the GNOSO experience more pleasant for other participants - AND the GNOSO Volunteer Staff. Congratulations, June, on your selection for this Honor. (Click on Olympian's name for story). Terrie has always been one of those individuals who is always there when you need him - not holding any office in the organization or assigned any one function, but without whose help and support the games' continuance would be severely impaired. Terrie is finally being recognized for his yeoman service; this "Athlete of the Year for 2017" is but a small token of appreciation. Congratulations, Terrie! Oh, see that green thing in his hand? That is a GNOSO 2016 Volunteer Shirt. He is ALWAYS ready to "do his part" to make the Senior Olympic Games a sucess. 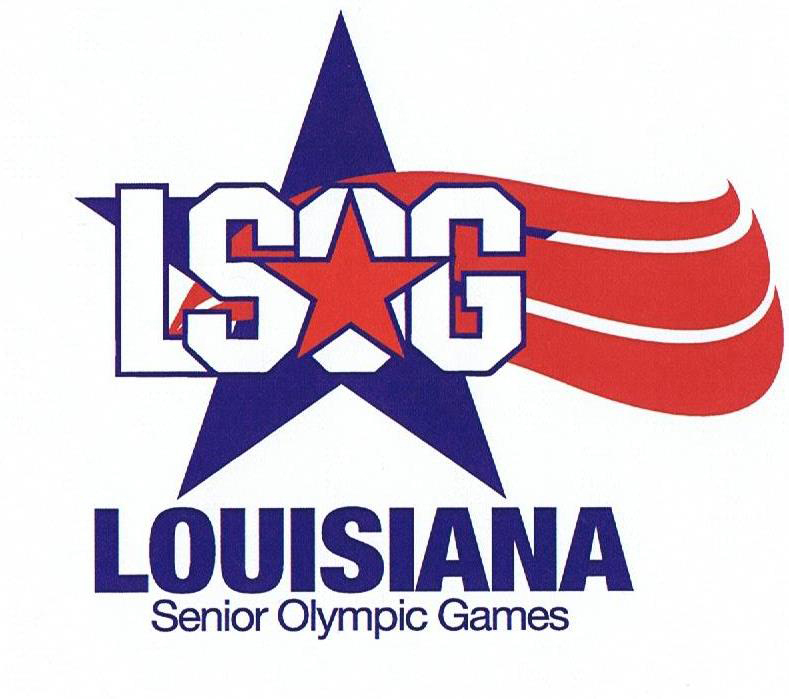 SPECIAL TRIBUTE and SPECIAL RECOGNITION TO these LONG-TIME GNOSO OLYMPIANS.